There were only under two hundred of those and they were only let out to prospective licensees for examination or for engineering sets. 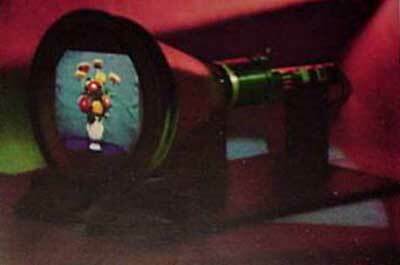 It is truly the first modern color picture tube. 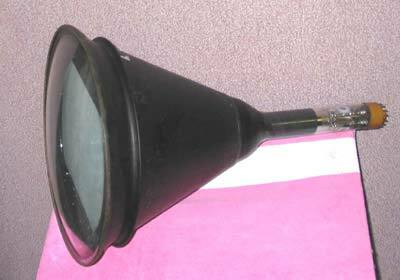 It is a variation of the 16" metal shell tubes in the RCA line. 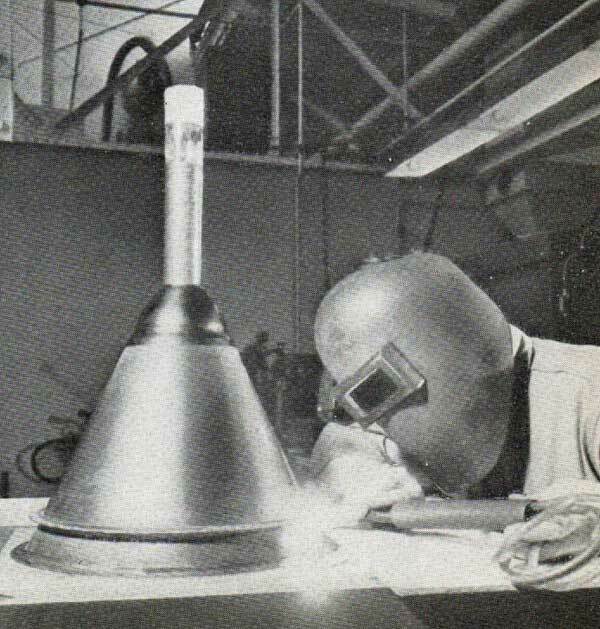 The mask and phosphor assembly was in a separate front piece and aligned in a sort of light tunnel, then welded to the rear bell. The weld ridge became the anode connection. RCA went wrong from the beginning. 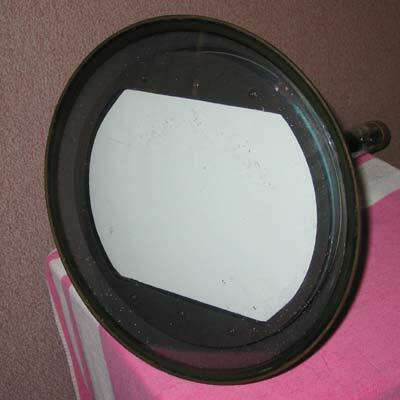 This tube was use in the tri-color models 1 and 2 and possibly the 2A. 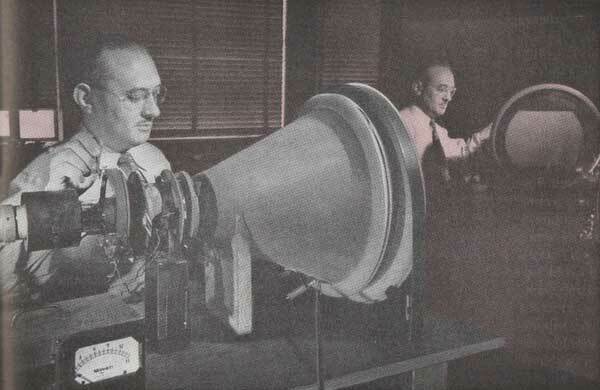 Model 1 was the first RCA demo to the FCC. These tubes were circa April, 1950 to February, 1952. Models 3 and 3A used a 3-bolt version. Starting with the 3, they improved the trajectory of the guide bolts for the shadow mask alignment. 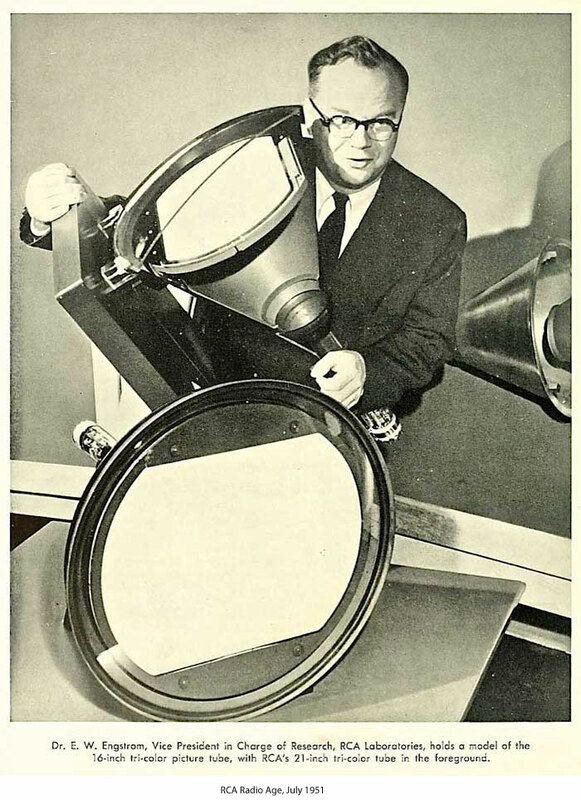 The model 4 appears to be the first of the glass tubes. Most of what I know can be found in the RCA Color TV submission to the FCC...the "red book"...and in the second "Proceedings of the IRE" on color television. 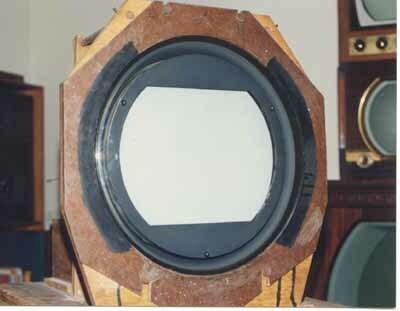 This is the tube in John Folsom's CBS RX-89 prototype, with 3 screws located around the screen. It is probably the same tube used in the RCA model 3 receivers. Bernard Tichit, ex-camera designer at Thomson-CSF for 25 years is going through the estate of Jacques Poinsignon. Mr Poinsignon started his career as a helper to Barthelemy at the CDC in the early 30s, he then continued his career with Thomson until retirement. The estate gear has been more/less temporarely stocked in a MIL Base in Brittany (Rennes). 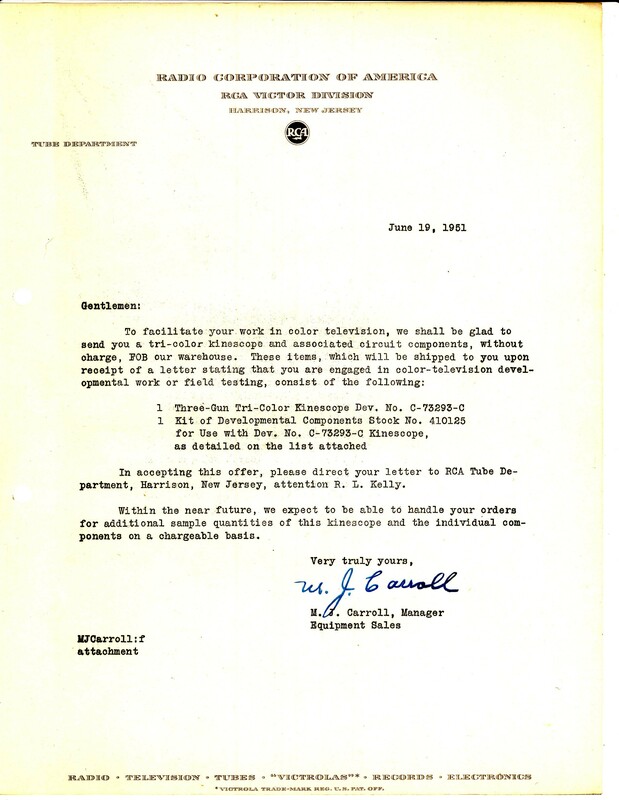 In the estate, Bernard found RCA documents dating back to 1951 where RCA offered in return for a simple letter expressing a company's interest in color TV, documents describing the RCA components developed specifically for color TV plus samples of hardware. Bernard quotes that 2 x 15GP22 CRTs are part of the lot, still in their original wooden packing crates, never opened! Million Dollar question? are the getters still good.